The U.S. government leases space all across the nation–including in some pretty remote locations. 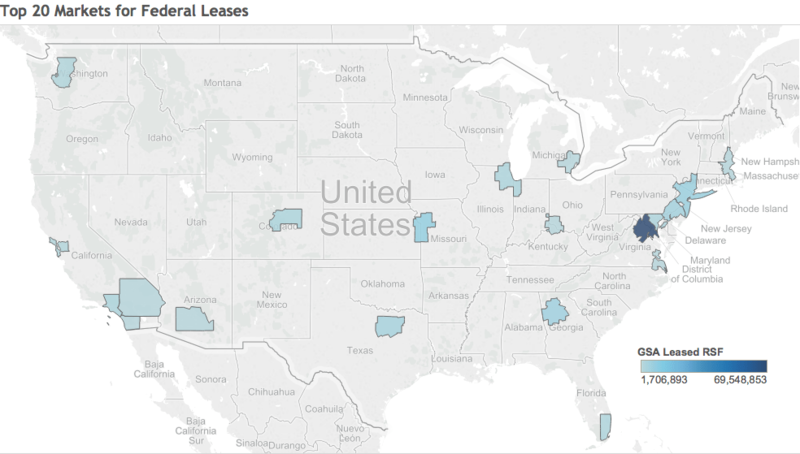 Yet, the bulk of federal government tenancy can be found in just 20 markets. 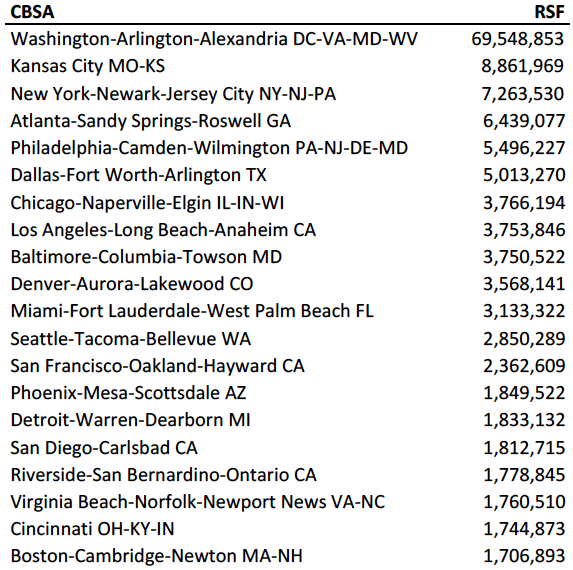 The map above shows the 20 largest markets for U.S. Government leases as measured by Core Based Statistical Area (CBSA)*. * CBSA is the new term for a Metropolitan Statistical Area (MSA). For more info read this.